In this episode, host Neil Howe talks to CEO & Founder of AbilitySEO.com , Adam Singer about how best to target and grow your ideal prospect audience. Adam Singer has been online obsessively since 1985 when he used the family’s Apple 2e computer to connect to Sierra Online via 1200 baud modem. He learned HTML in 1998 while working on the intranet for then Fortune 500 publisher The Bureau of National Affairs. He then took a 12 year break from digital life to study Jewish theology and ... Más informaciones philosophy in Israel and America. 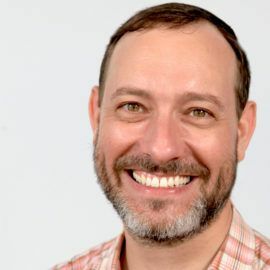 From 2004 to 2010 he served as an assistant Rabbi and young scholar in residence at Congregation Bnai Brith Jacob in Savannah, Georgia and in 2011 he returned to digital marketing and founded AJ Singer Studios, a WordPress and social media agency in Savannah. In 2014 AJ Singer Studios became a HubSpot partner agency and Adam changed the company’s name to AbilitySEO to reflect the company’s focus on SEO and Inbound Marketing. In 2017 and 18 AbilitySEO was named a top SEO agency by Clutch and it’s sister publication Manifest. In July of 2018 Adam his wife and three young boys moved to Israel and adopted an abandoned pet rabbit. He returns to the US quarterly to meet with clients and to run marketing workshops and occasionally to see Cirque de Soleil productions in Las Vegas.